There are two trains of thought for beginning readers – teaching with sight words or phonics. Those who teach phonics focus on letters and the sounds they make. Young readers then take those sounds and blend them together to form words. Teaching with sight words relies on the child being able to recognize words by sight – not sound. This is helpful for teaching words that can’t always be sounded out. When my kids were learning to read, I used a combination of both. 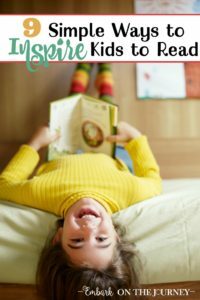 This method helped when my kids wanted to read beginner books – like Bob books. 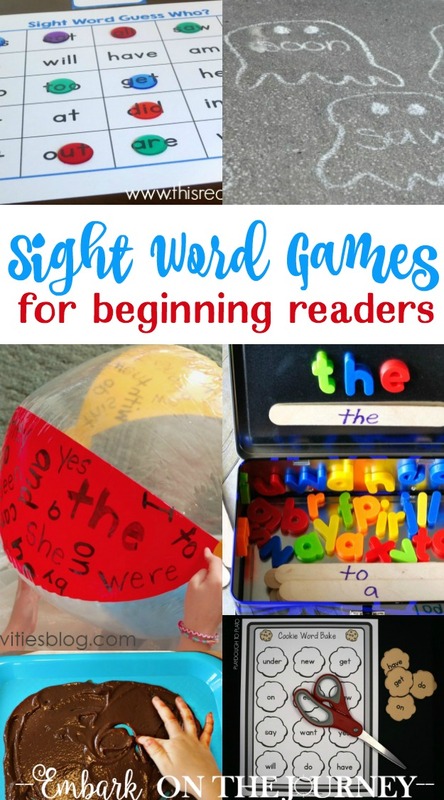 If you are in the process of teaching your young children how to read, you will love this collection of sight words activities. This round-up is filled with printables and hands-on activities that will help your child be well on their way to learning to read! Many of these activities rely on supplies (books and board games) that you may already have in your home! 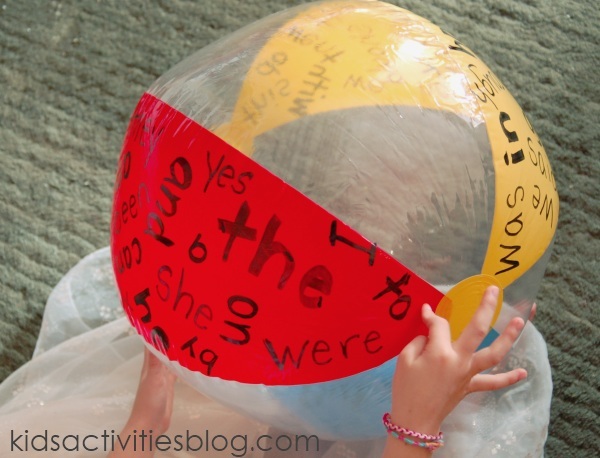 Kinetic Sight Word Activity – All you need for this activity is a blow-up beach ball, a permanent marker, and a list of sight words. Kids Activities Blog shares three different ways to play this game so that it works with readers at three different levels. Sight Word Go Fish and Matching Games – Here’s a fun twist on a classic game of Go Fish. Print out your sight word cards at Nap Time Creations. Sight Word Games for Active Learners– Here are two sight word games for active learners. Both games will get your kids up and moving. Both of these games are perfect in a group setting. Chocolate Sight Words Writing Tray – This was one of my kids’ favorite activities when they were younger. 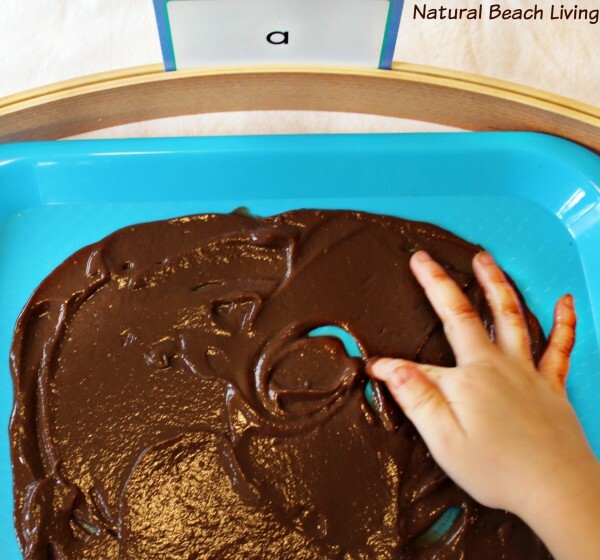 This activity from Natural Beach Living, which involves chocolate pudding, is a fun multi-sensory way to inspire your kids to learn sight words. Free Sight Word Candy Land Game – I love how 123 Homeschool 4 Me turned her Candyland board game into a sight word game! Sight Word Tallies – Creative Family Fun shares how to turn your child’s favorite picture book into a sight word teaching tool. Sight Word Twister – Here’s another idea for turning a classic kids’ game into a teaching tool. Discover how Mom to 2 Posh Lil Divas turned her Twister game into a sight word activity. 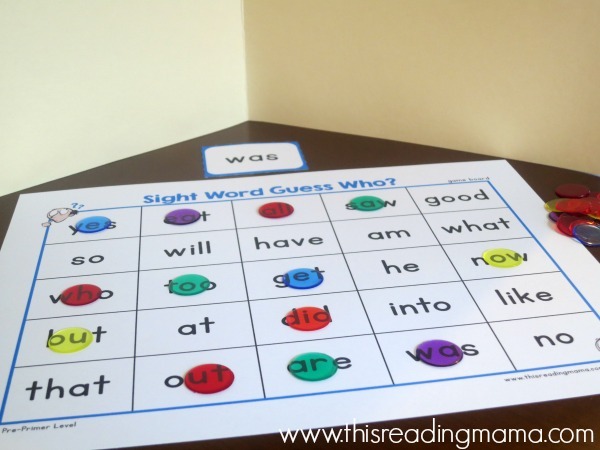 Sight Word Guess Who – This printable “guess who” game from This Reading Mama features words from five sight words lists ranging from PreK to 3rd grade. That makes it perfect for a wide range of reading levels. Sight Word Jenga Game – The First Grade Diaries shares how she turned her Jenga game into a sight word teaching tool. Kids are sure to love this one! Sight Word Dominoes and Speed Racer Game – I always love the teaching ideas that No Time for Flashcards shares. Check out how she made a speed racer game for her little guy! Be sure to check out what 6-year old trash talk looks like, as well. It’s super cute! Sight Word Rubbings – I love activities that don’t require special supplies and cost very little to no money to put together. See how Doing Splendid created sight word rubbing cards for her kiddo. Sight Word Ghost Zapper Activity – I don’t know any child who wouldn’t love this awesome ghost zapper game from Coffee Cups and Crayons! As soon as the weather warms up, grab your squirt guns and head outside with the kids to learn sight words. Ready, Aim, Fire! Hands-On Sight Word Frisbee – You’re kids are going to love this activity, because they get to throw a ball in the house. Wait! Don’t leave! I promise, it’s worth checking out this hands-on activity from The First Grade Parade. Seashell Sight Word Practice – This fun activity from Fantastic Fun & Learning is perfect for putting those sea shells you collected on your last trip to the beach to good use. 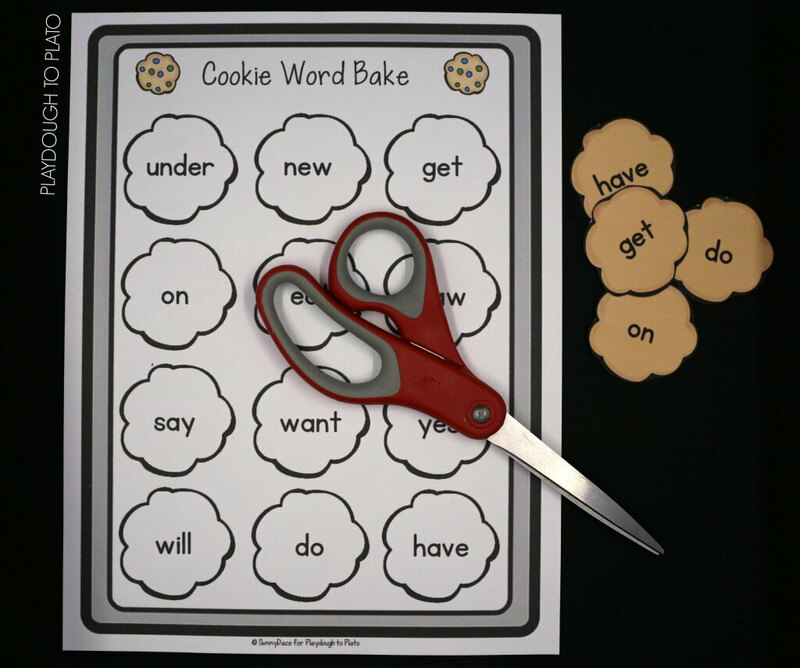 Free Cookie Sight Word Game – Serve up some sight word learning fun with this cookie game from Playdough to Plato. Spelling Word Snack for Kids – Let kids munch their way through the sight words list with this activity from Mom Endeavors. Roll a Sight Word – This is a great interactive sight words game from I Can Teach My Child. Sight Word Bubblegum Matching Game – This colorful game from The Crafty Classroom is sure to keep your young readers engaged. 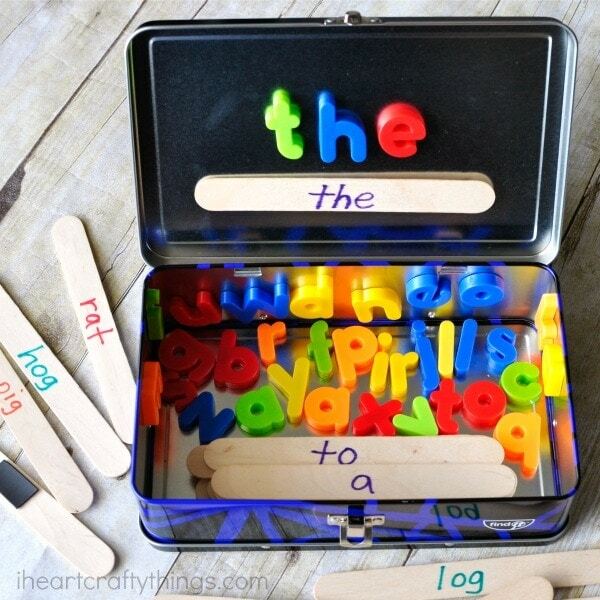 Word Building Activity Travel Kit – This is one of my favorite sight word activities. I see it all the time on Pinterest. I Heart Crafty Things shares how you can make a travel kit that will allow you to take learning on the road. 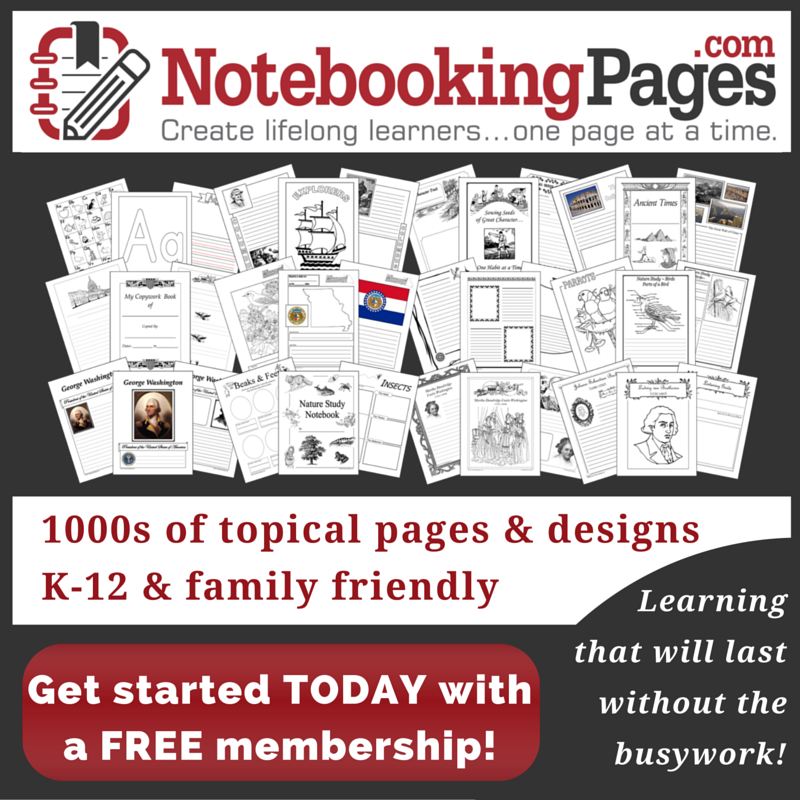 What is your favorite way to teach sight words in your homeschool? Always looking for new ways to practise sight words, thanks for the ideas! I love hands-on activities! These are great for learning sight words!